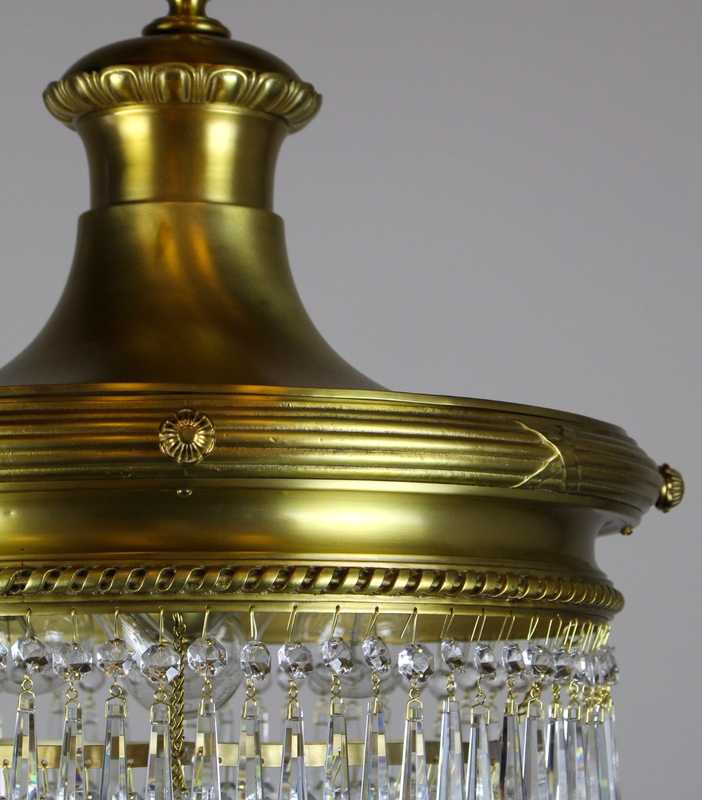 Beautiful ‘Wedding Cake’ Chandelier by R. Williamson of Chicago. 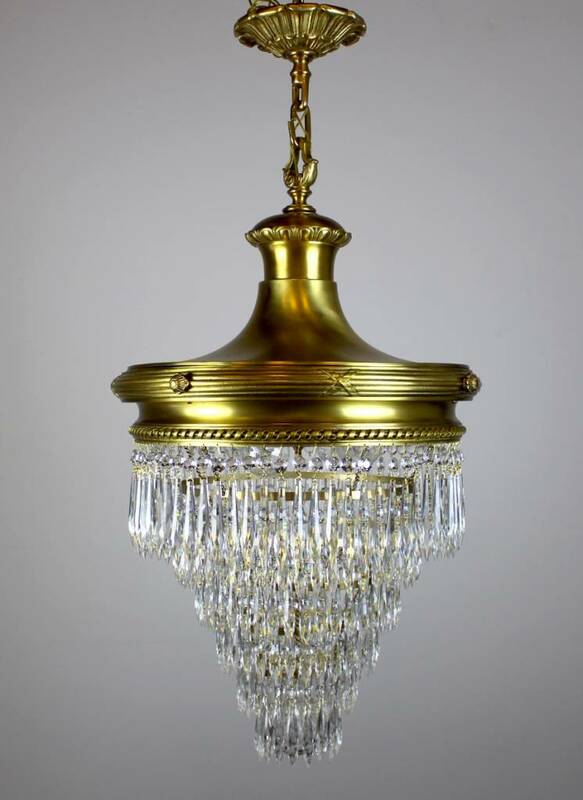 Bright Satin Brass Finish, lovely classical revival ‘reed & ribbon’ design and dimensions. 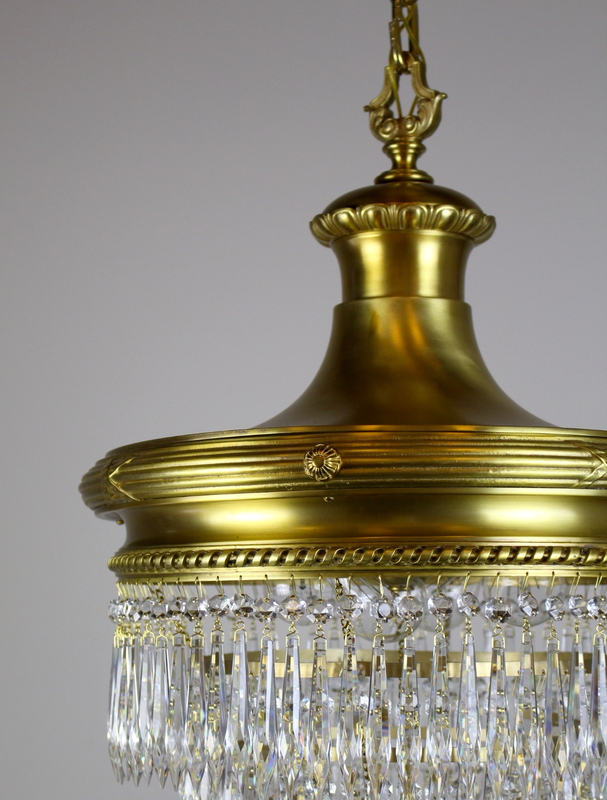 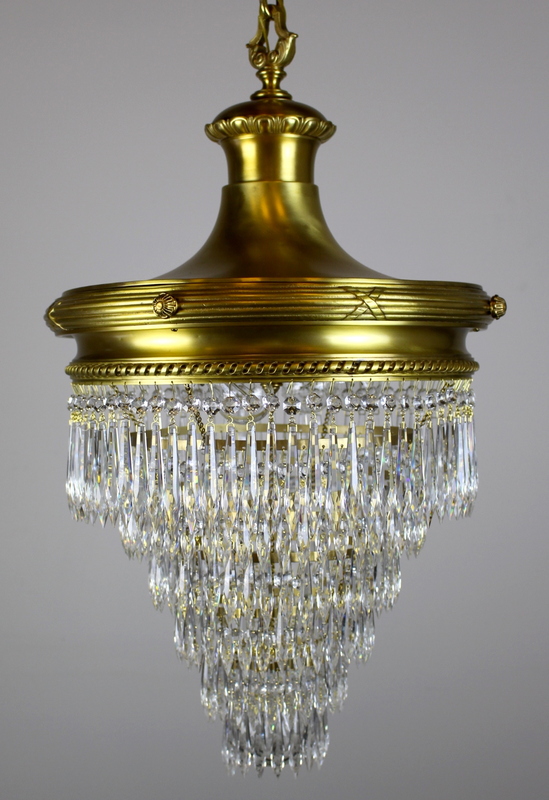 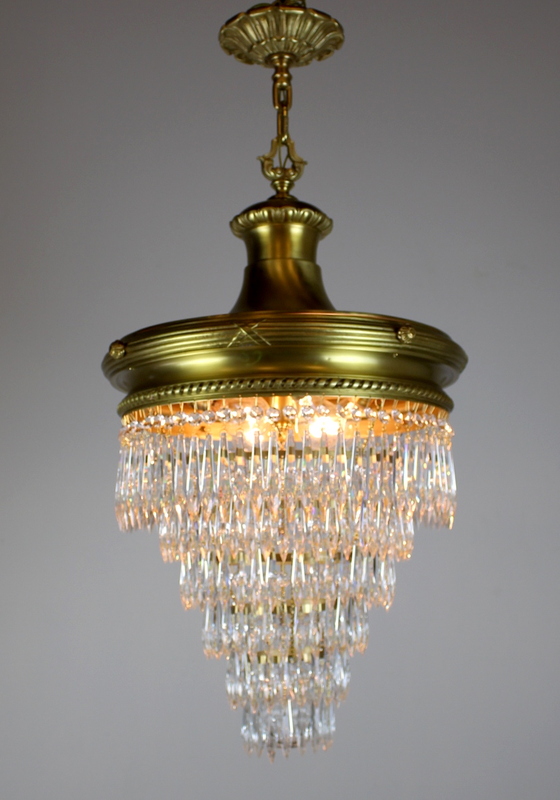 See more: Antique Ceiling Lights, Antique Chandeliers, Antique Lighting, Latest Antiques.